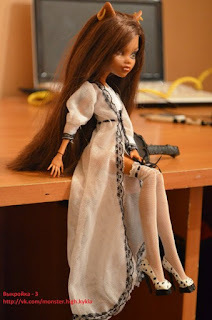 Here is a nice Monster High robe or jacket and a pair of thigh high socks from Olga Nikolaeva. 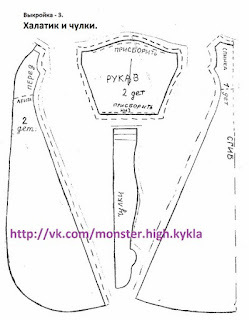 I came this pattern while checking out a craft forum from Russia. This is an untested pattern, so I'm not sure it will print out correctly, but I thought it was worth passing along. 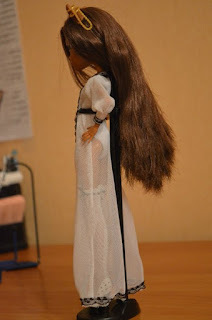 Sorry there are no instructions beyond what you see here.